Driftwood Recovery is designed to be a sanctuary. A place of refuge and reflection where we arrest active addiction and provide residents with the skillset to navigate their unique path to recovery. Individuals can prepare to be involved in a small, close-knit staff and treatment community with a welcoming feel and a focus on psychological and physical wellness. Co-occurring substance use and mental health disorders require an integrated treatment approach. Many individuals self-medicate in an attempt to manage their mental health issues; others develop depressive or anxiety symptoms as a result of their substance use. Chronic pain can be an amalgam of mental health, substance dependence, and medical issues. 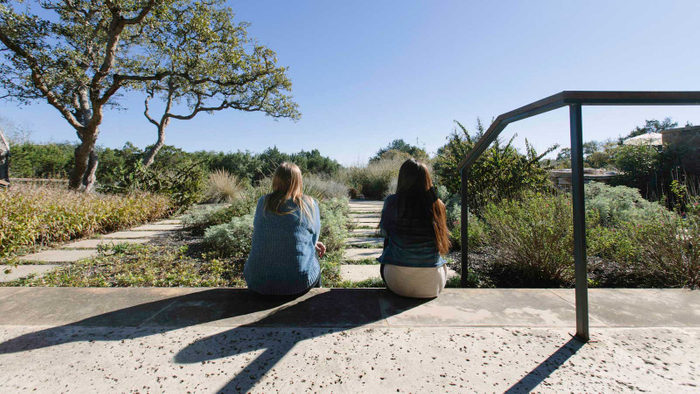 Driftwood incorporates therapies and effective medications to address a variety of mental health issues, in addition to engaging individuals in a substance abuse recovery community and addressing the underlying drivers of addictive behavior. Our experienced clinical team draws from training in various treatment approaches, from Eye-Movement Desensitization & Reprocessing (EMDR) therapy for trauma, to Collaborative Assessment and Management of Suicidality (CAMS), to Motivational Interviewing (MI), to Dialectical Behavioral Therapy (DBT) and others. Dr. Melanie Somerville, Director of Driftwood’s Pain Recovery Program, helps individuals understand how their minds are extremely powerful in moderating the effect of pain and tension on their bodies. Drawing from medical, psychological, and holistic approaches, Dr. Somerville helps clients incorporate practices into their lives to manage their natural inflammatory response, reduce psychological tension that manifests as physical tension, and utilize movement of their bodies as medicine. Dr. Somerville works in close concert with Driftwood’s family nurse practitioner Shelly Guillory, FNP-C, certified fitness training team, and Driftwood’s Medical Director, chronic pain physician and holistic mind-body medicine specialist Dr. Rey Ximenes. Individualized care plans are developed involving individual therapy, chronic pain group therapies, fitness routine, nutritional recommendations from a registered dietician, minimally invasive medical interventions, and holistic treatment approaches. 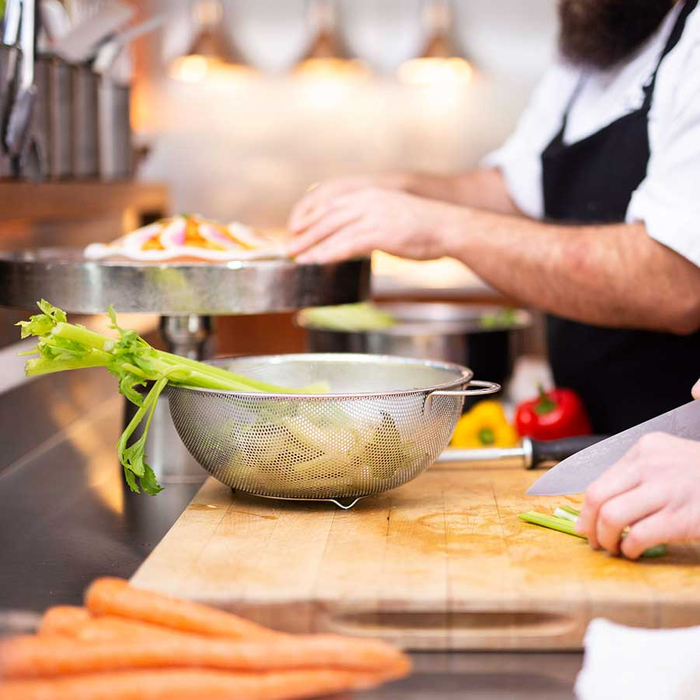 To enhance each resident’s treatment experience, regardless of which program they are participating in, there is a strong focus on wellness and making meaningful changes. Some insights cannot be gained by sitting in a room with one’s therapist. When words run out, getting active and involved with the world around us is integral. Driftwood’s Wellness Director Connie Cole, CPT, CHC, CYI, is a certified fitness trainer and instructor and accomplished athlete. She has years of experience in the field, working with clients with all levels of physical readiness for exercise. Connie provides an individualized fitness assessment and recommendations for each client who enters Driftwood Recovery, meeting them where they are and encouraging them to make progress toward their goals. Her team also includes certified fitness trainer Ryan Potter, who engages clients in exercise and movement appropriate to their level of physical capability. 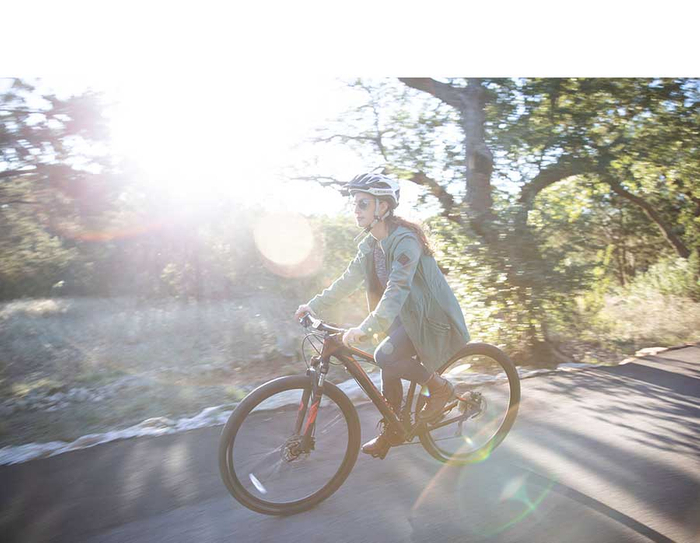 Driftwood’s 85-acre campus offers mountain biking and walking trails to benefit our residents, not to mention an ADA-accessible pool and hot tub, where the fitness team coordinates aquatic exercise and heat-based therapy for pain clients in warmer months. An infrared sauna and fully equipped fitness center, as well as massage therapy, are also incorporated into the Driftwood experience as indicated. The Driftwood fitness team coordinates experiential therapies with residents on our state-of-the-art high- and low-ropes course on the Driftwood campus, challenging them to overcome fears and work effectively as a team. New insights develop for our clients who challenge what they previously thought were their limits. 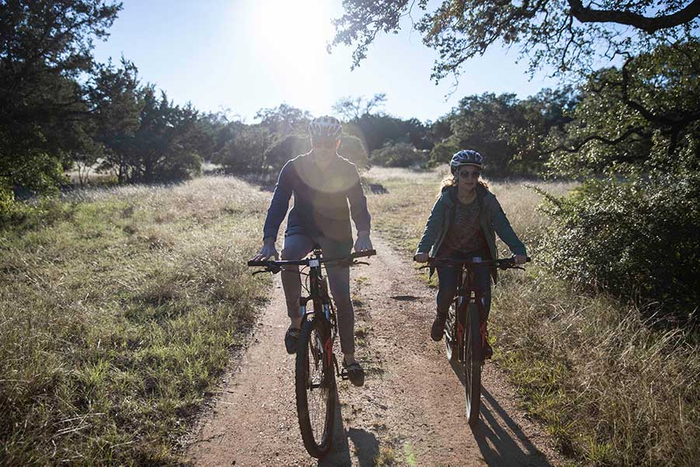 The fitness team also coordinates group outings to several Hill Country natural destinations and recreational activities to make nature, physical exercise, and fun a priority in one’s recovery. 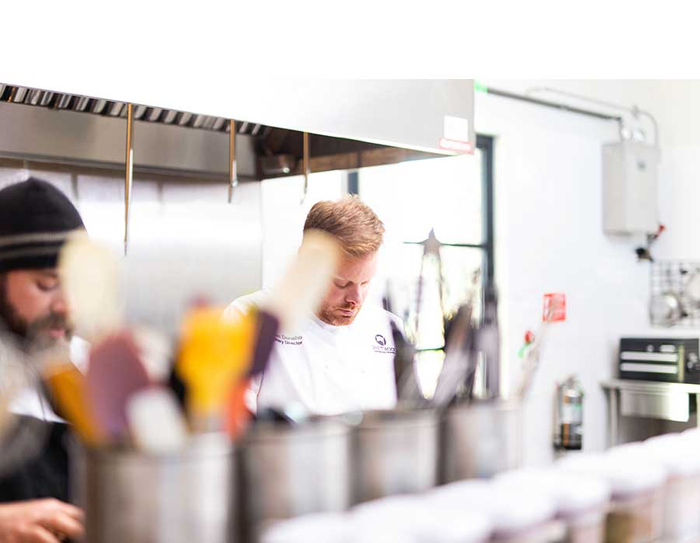 Driftwood’s Culinary Director Jason Donaho and his team of chefs work cohesively to prepare balanced, made from scratch meals for our residents daily. Jason’s education and experience in the field involve using food as medicine to enhance clients’ recovery journey by decreasing inflammation and detoxifying the body with all-natural foods containing healing herbs and spices. This thoughtful process is designed to reduce the mind and body’s overall distress and craving levels by limiting carbohydrates and sugars and lowering the sodium ratio in food. 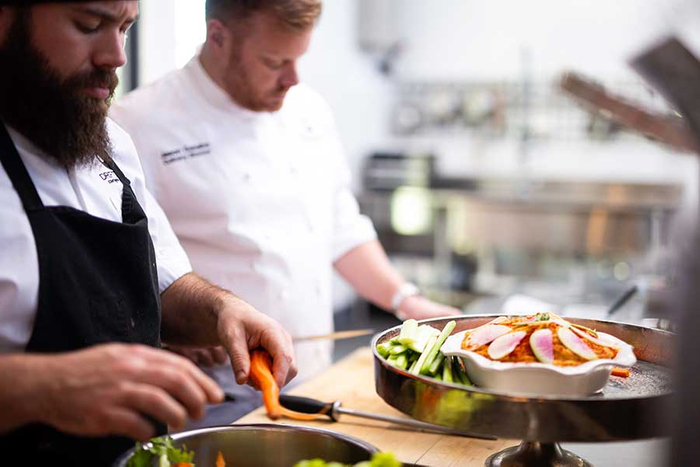 The culinary team’s creative, enthusiastic approach to developing nutrient-rich meals fits seamlessly with Driftwood’s overall approach to mind and body wellness. 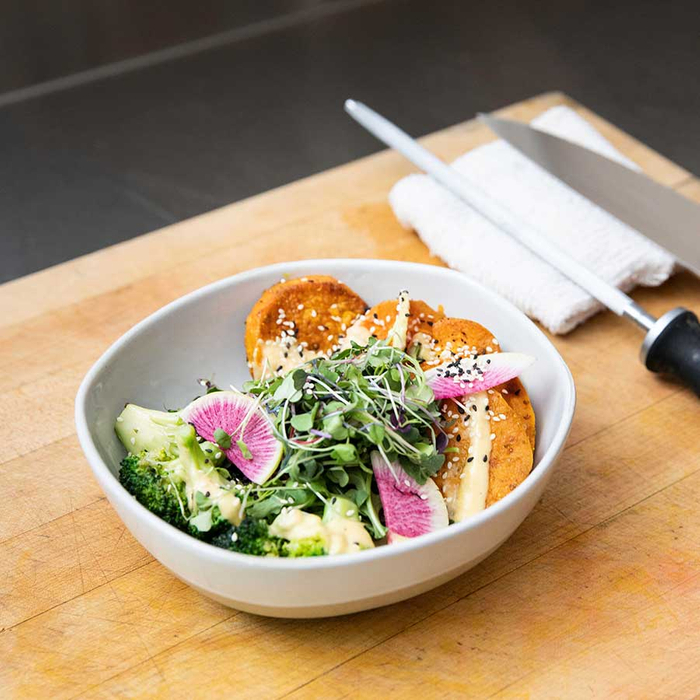 Staff are also invited to eat healthfully alongside residents to practice staff wellness and community connection.